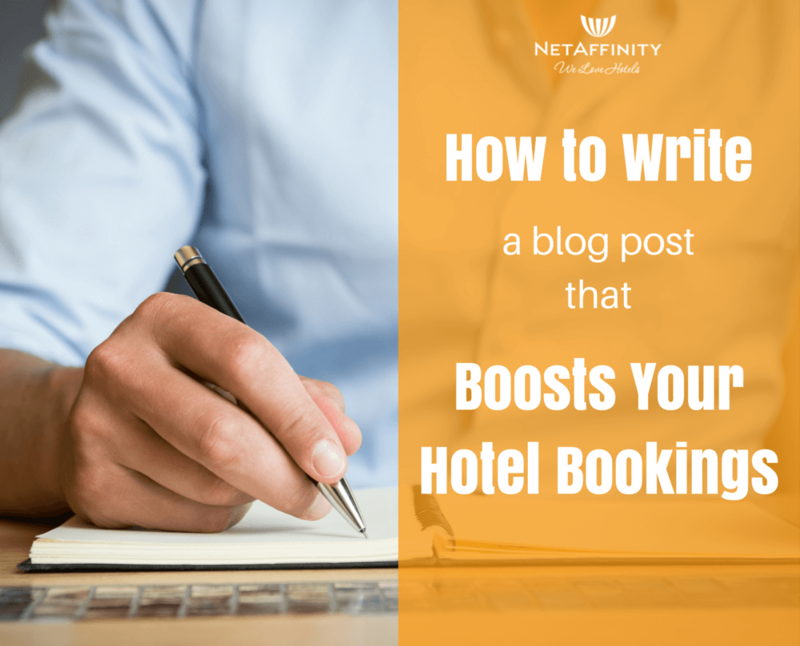 10 Tips to create a blog post that boosts your hotel bookings! Blogging is more effective than social media and SEO in increasing website traffic. Also, leads attained through inbound marketing methods like blogging cost 60% less than those captured with outbound methods. Inbound marketing is the art of getting your customers to want to come to you – for advice, for inspiration, and ultimately to buy from you. This has spurred more businesses to blog, one of the top inbound techniques. Of course, this has predictably created an avalanche of blogging competition for all businesses, including hotels. In fact, 2 million blog posts are written every day. Hotels aren’t only competing with hotel blogs: they’re trying to grab attention among food blogs, travel blogs, design blogs and others in the hospitality niche. If you want your hotel to stand out from the crowd, you’ll need to write quality, eye-catching posts, and publish regularly. Keep in mind that not every hotel needs a blog, and blogs aren’t magic: they take time and care if you want them to work! However, if you use your blog correctly and have a strong, engaged base, they can certainly drive up your bookings rate. Today, I am going to show you how to create a blog post that boosts your hotel bookings – learn how to make yourself heard! As aforementioned, many businesses are writing blog posts these days. But most of them are short posts between 350 and 700 words. You can easily standout from the competing blogs by writing longer posts. And I am not talking about posts that are around 1,000 words long. I am talking about ones that are over 2,000 or 3,000 words. 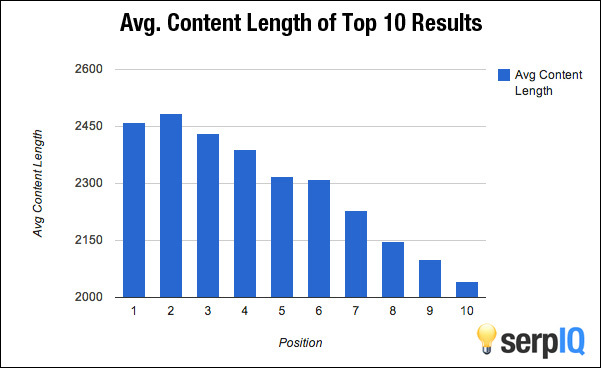 Long posts stand out: they attract the most backlinks and rank well on search engines. Moz discovered that the number of backlinks a blog post attracts is directly proportional to the length of the post. Another study by SerpIQ found that posts that appear in the top 10 search results are over 2,000 words long on average and those present in the top 4 are around 2,500 words. These 2 studies show that that people like to link to longer blog posts. This boosts search engine performance. Include some good keywords in your blog post to maximize these benefits.To sum it up, long posts give your hotel traffic from both social media and search engines. Watch out, though! You need to be careful when you’re writing your long blog post. You can’t just string some large paragraphs together and hope for the best. Let’s keep going – I am going to show you the most important steps to follow as you write. Since your long blog posts are likely to attract plenty of backlinks, it’s a good idea to include plenty of popular keywords. This will ensure that you get a good amount of traffic. Along with these main keywords, you should target some popular long tail keywords. Why? The number of long tail keyword searches have risen over the past few years, and competition for these keywords is usually low. How many people are going to google “How to write a blog post for my hotel”? Probably not a ton, but the people that do are going to know exactly what they want to read! Long tail keywords are a way to rank for the topics you want to rank for without putting effort into too-competitive shorter keywords, and they help your perfect audience find you. A great tool for finding long tail keywords is Long Tail Pro. Even Google’s Keyword tool can prove helpful. You cannot write a long blog post on each and every topic. If you want to write posts that are over 2,000 words long, you need to look for meaty topics. If you also want to take advantage of the search engine and social sharing benefits, you need to ensure it is popular too. All the hours spent writing the posts should be worth it. This is why you should do as much research as you can to find popular topics. You should use the Google Keywords tool and SEM Rush to locate frequently searched keywords and Buzzsumo to find posts that get shared the most on social media. Another option would be to visit your competitors’ blog, check out their most popular posts and begin working on longer versions of the same posts for your hotel blog. Sometimes I come across blog posts where there’s clearly no quality information to be found. It’s easy to see that the author set out with the aim to create a really long blog post, and in the process stuffed it up with unnecessary words. This is a bad idea! Most of us have excellent eyes for nonsensical or unhelpful writing, and we’ll hit the back button faster than you can say ‘oops.’ Once your post has reached its length limit, you should stop. There is no point beefing it up with irrelevant information. The study by Buzzsumo also found that posts that contain at least one image get shared more on Facebook and Twitter than those that don’t. 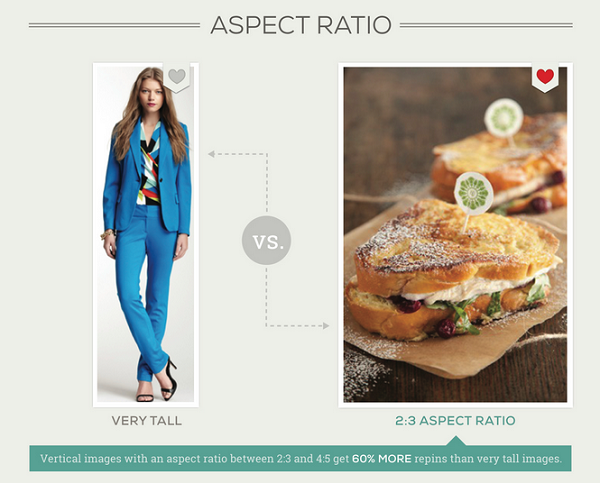 Adding images to your blog posts will also make it easy for readers to share it on Pinterest. It’s a great idea for you to optimize your posts for Pinterest because it’s a great driver of traffic. Hotel blogs are especially suited to it, because topics like weddings, food, and travel are very popular on Pinterest. Along with these 2 cover images, you should intersperse your blog post with plenty of other images like screenshots, photos and graphs. This will make your post more colourful and attractive, and break up what might look like endless stream of words. Also, if your hotel is writing about its architecture, the local natural beauty or a nearby attraction, powerful visuals are just as important as the writing. Don’t write 300 words about how beautiful the mountain views are – take a picture! 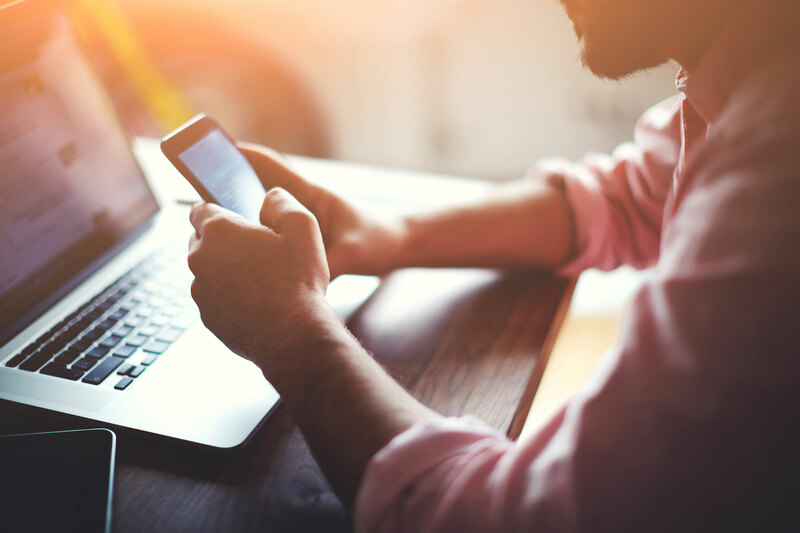 This may all seem a bit technical and detail-oriented, but trust us: when it comes to content, sometimes the smallest things can have the biggest impact. An easy way to get potential customers to read your blog posts is by writing about other hotels in your blog post. You might think this sounds ridiculous – why help the competition? – but it can be a great tool in building your reputation and attracting customers. In your blog posts, try making other hotels look good by writing about the facilities they offer, awards they have won or case studies they have created. After you do this, reach out to the hotel’s marketing team and inform them that you have mentioned them in a blog post. If they are pleased with what you’ve written, they’ll promote the blog post to their social media followers and email subscribers. 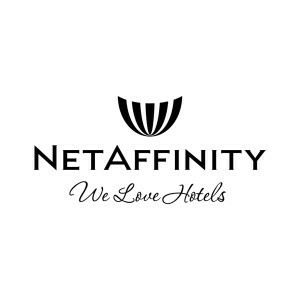 As the hotel’s social media following and email subscribers will consist of travellers, some of them will be interested in staying at your hotel after they visit your blog and learn more about you. Also, the hotel might return the favour by mentioning your awards and facilities! Your blog post could lead to a relationship which will help you get more social media shares and backlinks in the future. Of course, this shouldn’t be your entire strategy for building a following – but keep it in mind as a tool to expand your reach. 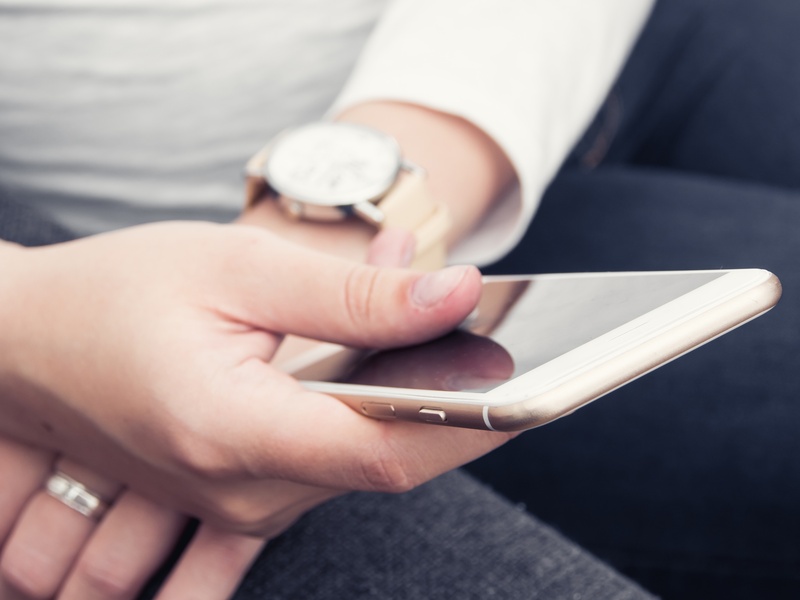 An easy way to convert blog post readers into customers is by including calls to action in the blog post. The calls to action can either ask people to sign up to an email list or they can direct people to your website where they can make a direkt booking. your newsletter, as you can then encourage them to book a room, attend a local event, or take part in a sale. In other words, you can get them to book again and again, instead of only once. Most often, people place the call to action at the bottom of the blog post. But, in a long blog post, you can place it in a few places throughout the post. You can place one right at the beginning, one somewhere in the middle and one at the end. Offer a bribe like a voucher or a discount along with this call to action, and you’ll see a serious boost in people clicking on it. An example of a blog post with good call to actions is this one. For your hotel, your call to action can be a link to a landing page for a campaign, a discount code, or simply a Book Now button. This is a great way to convert readers into potential guests.The stronger your calls to action, the more hotel guests you’ll get. To help focus your writing and make sure you’re not rambling, try writing the headline before the article. This way you can make sure that everything in your post comes back to your main point. Here’s a comprehensive guide to building amazing headlines time after time, but I’ve listed a few of the highlights below. One thing every blog post headline must include is the main keyword. This could be a highly popular short keyword or a long tail keyword. If you want to rank highly for the chosen keyword, it is absolutely necessary for you to add it. The rest of the headline can be built around this keyword. Keep the headline short as most search engines only display the first 60 words and cut out the rest. If you have written a listicle post i.e. you have many main headings under your blog post, you can count the number of heading/points and include that number in the title. A study by Conductor found that headlines with numbers get shared the most. The most social shares were received by articles that have the number 10 in the headline. They got an average of 10,261 shares. Headlines with the numbers 23, 16 and 24 also perform well. Headlines with negative superlatives get 69% more clicks than those with positive superlatives and 50% more clicks than those with no superlatives. A negative superlative headline can be something like ‘8 Mistakes People Make While Traveling’ or ‘7 Reasons You Always Choose the Wrong Hotel’. Why do they work? Headlines with these negative superlatives perform way better than those with positive superlatives because when people read them, they often feel driven to figure out the mistakes they’re making. They’ll click on the headline to check it out. So, whenever possible, try and modify your headline to include negative superlatives. You can check the shareability of your headline by using the Headline Analyzer. This tool will analyze your headline and provide a score. The higher you score, the better. You can put in your headline, measure your score and keep modifying it until you come up with one you are satisfied with. Remember, though, it’s only a rule of thumb – don’t be afraid to follow your own path! Follow the above tips and write long blog posts, add plenty of visuals, try making other hotels look good in them, and add an awesome headline to create a blog post that potential hotel guests will enjoy reading and sharing. Add plenty of calls to action throughout and you will have a blog post that boosts your hotel bookings. 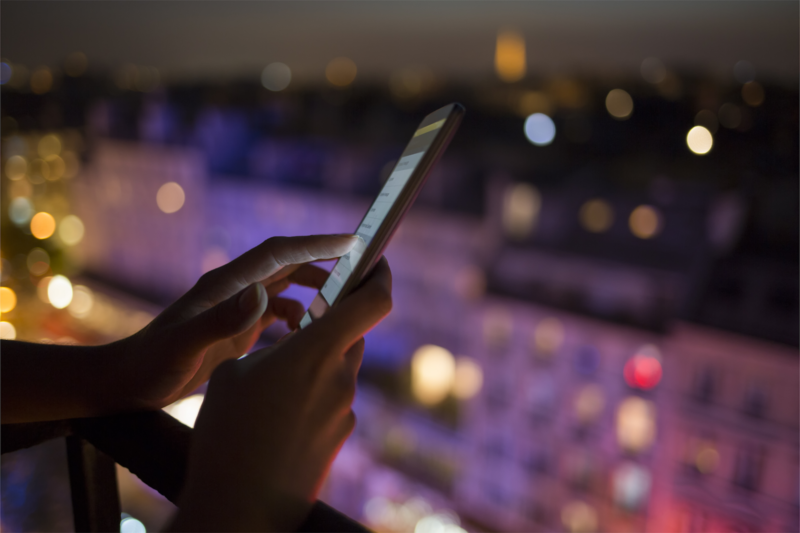 Choose your entry level and all the apps you need for your Hotel!